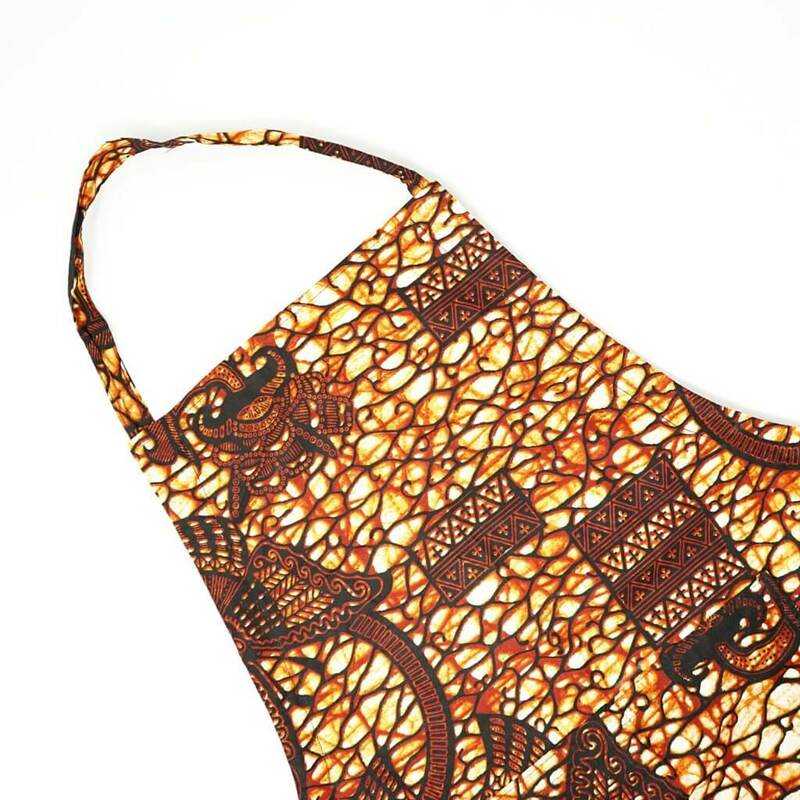 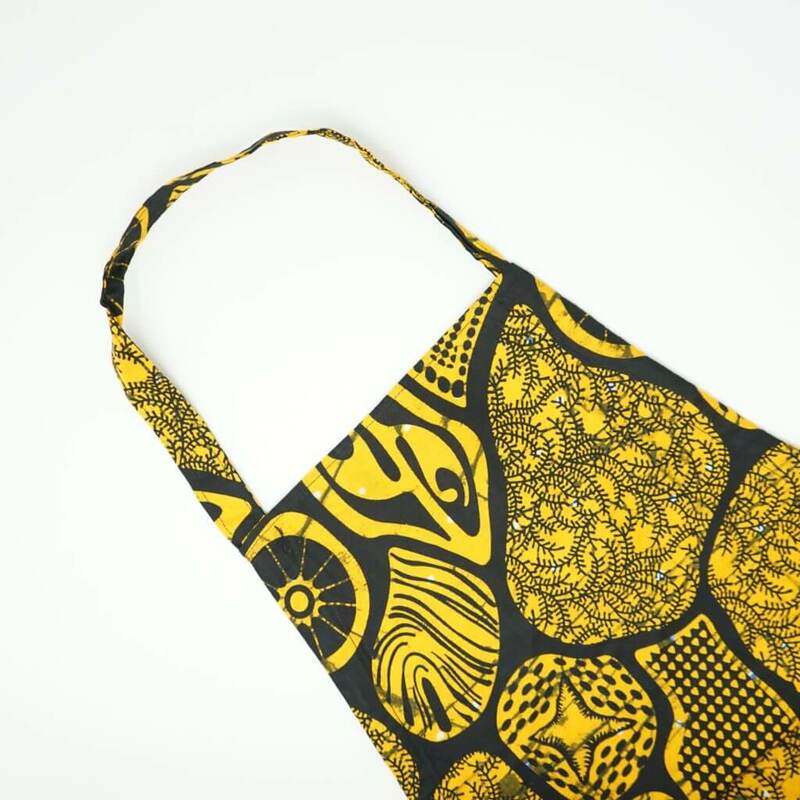 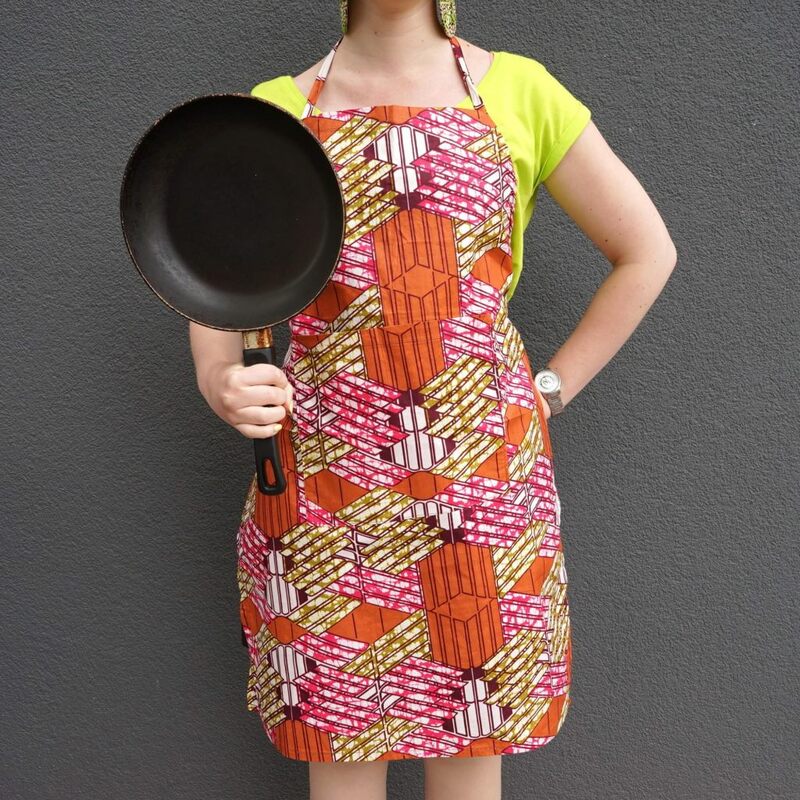 This apron, made of cute and colorful African fabric, will bring energy into your kitchen and is a nice gift for a cooking enthusiast! 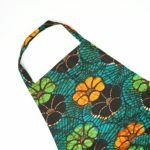 These cotton aprons are made by Ugandan women with disabilities, and fit for people in all sizes – the neck strap is adjustable. Choose matching pot holders or pot gloves, too, and you have a great gift for both a child and a grandpa! 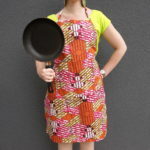 The fabrics may bleed. 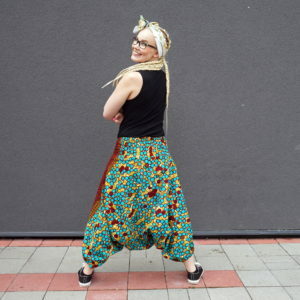 Wash separately at 30°C. 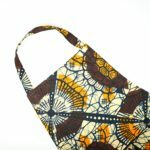 Each product is handmade, often by women who lack basic numeracy skills and cannot use a tape measure. 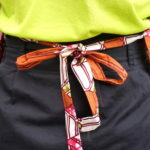 However, they put all their love and care into each product. 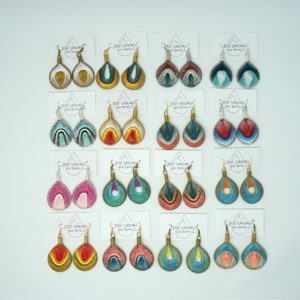 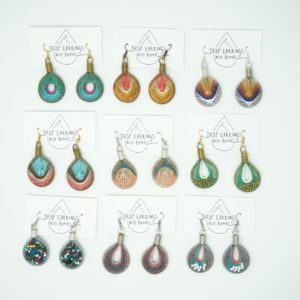 We hope that you find the tiny differences in size, pattern, and colors of each product charming! 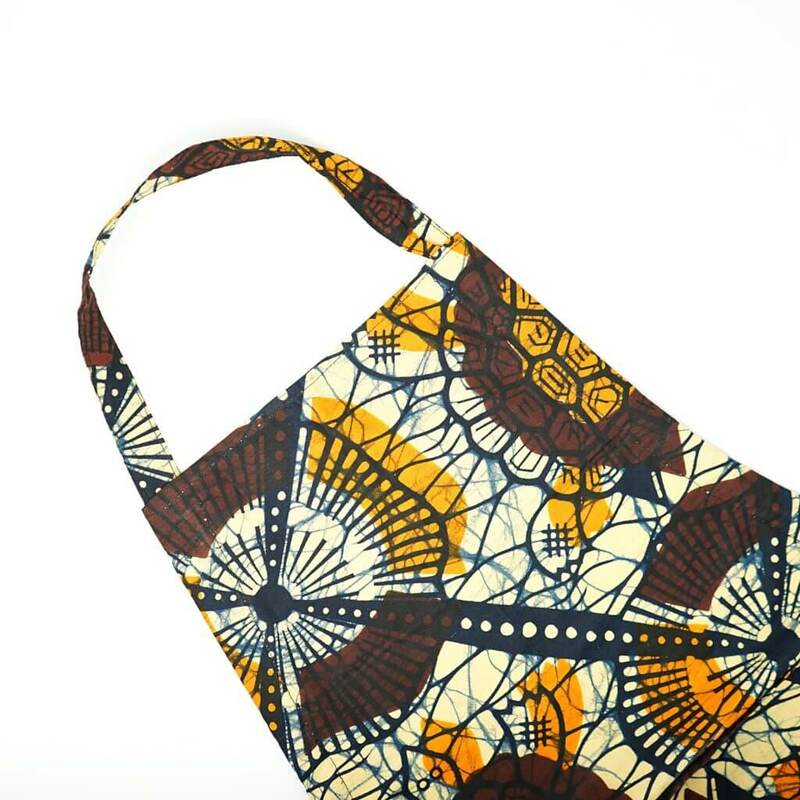 All our products made in Uganda are created by 5 young women, who are wheelchair-bound. They operate under the name Kampala Disabled Initiatives, and they own a shop-atelier in Kampala, the capital of Uganda, which was established with help from NGO Mondo and Estonian development assistance. 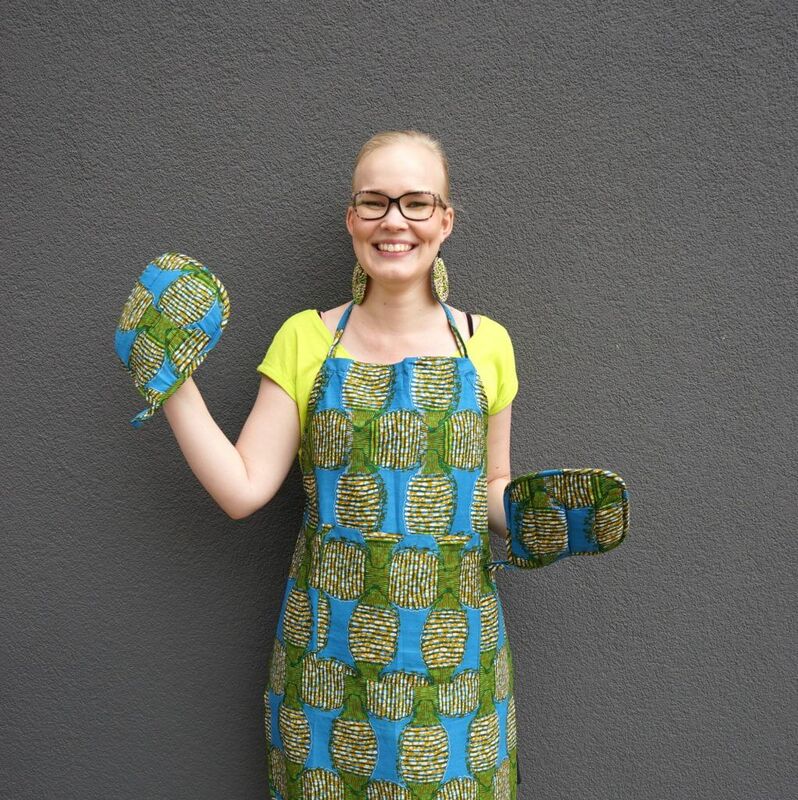 Pictured is one of KDI-s seamstresses, Night Nalwoga (35), who loves working at the atelier, because it has a great atmosphere, and creates the feeling that the women are “doing their own thing”. 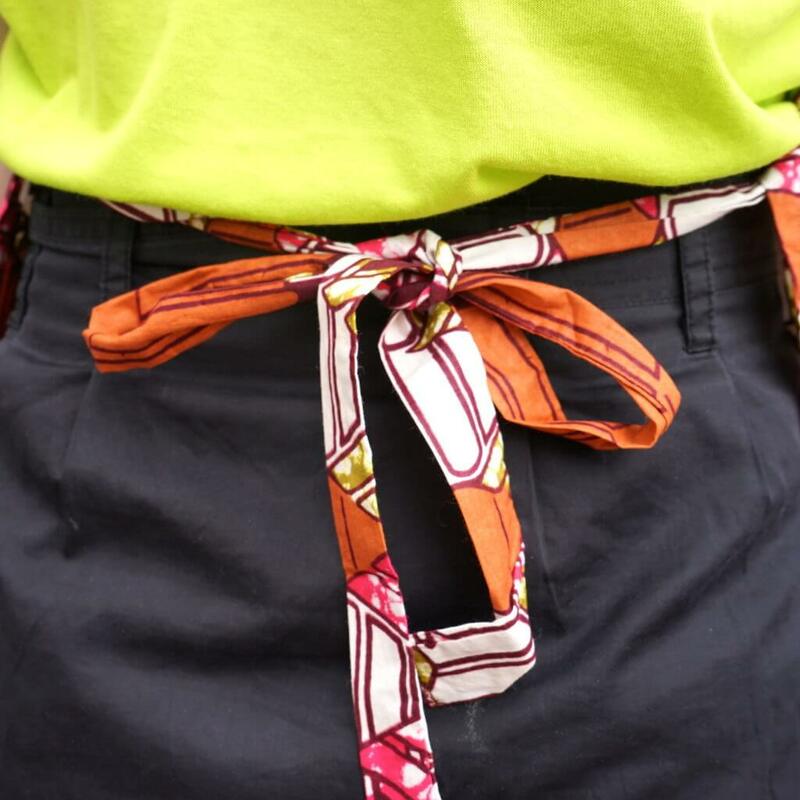 Night says that through working together in the cooperation, the women have learned to trust and support each other, work hard, and be more independent. During the years 2014-2015, designer Liina Viira was in Kampala to help the women, and on the picture, Night is holding the Weekender bag, designed by Liina and made by herself.